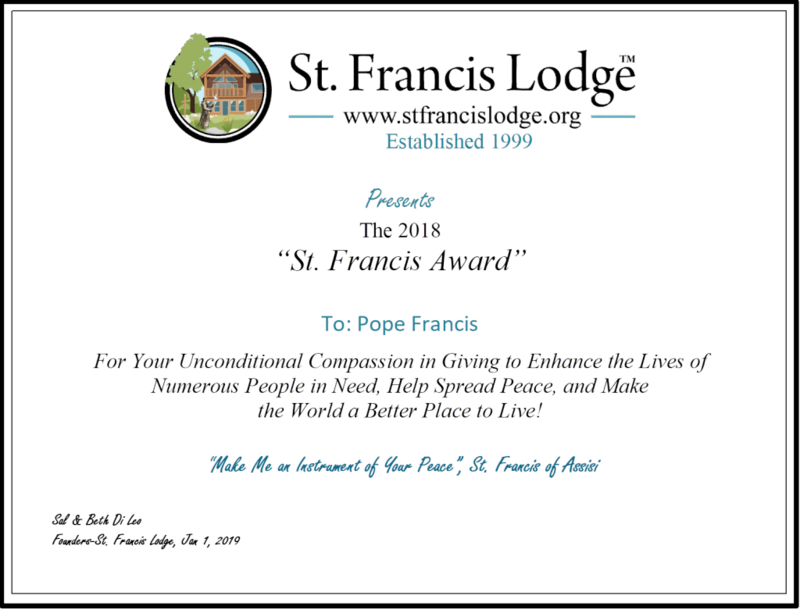 Tuesday, Jan. 1, 2019; Lake George, Minnesota: Pope Francis, US Senator Amy Klobuchar, Rotary International, and Delta Airlines are the 2018 recipients of the 2018 “St. Francis Award” for their work to promote peace worldwide. “Each year, beginning on January 1,2019, we will announce 4 Award Recipients for outstanding work in bringing peace to the world. There will be four categories of winners; An Individual (s), A Humanitarian Organization, A Business, A Political Leader”, explains Co-Founder of the Award, Sal Di Leo.